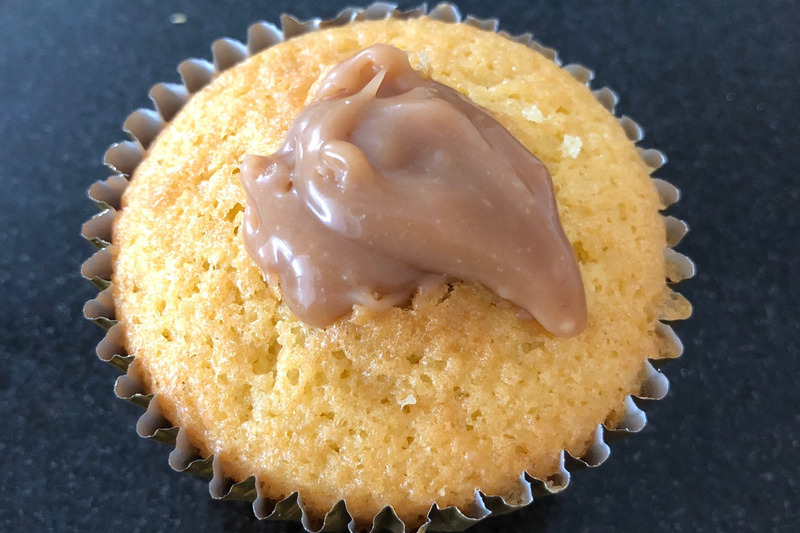 Lynda Morrison from Cake by Lynda Morrison used Johnson's Coffee Fudge in her Coffee and Vanilla Cupcake recipe with another step by step method for our lucky customers. Enjoy! 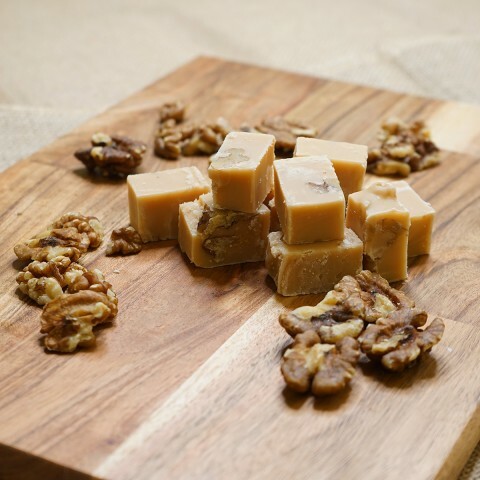 You don’t have to be a big coffee fan (I don’t drink coffee at all) to enjoy this fudge. My husband is a double espresso fan and we both loved the creamy coffee flavour. 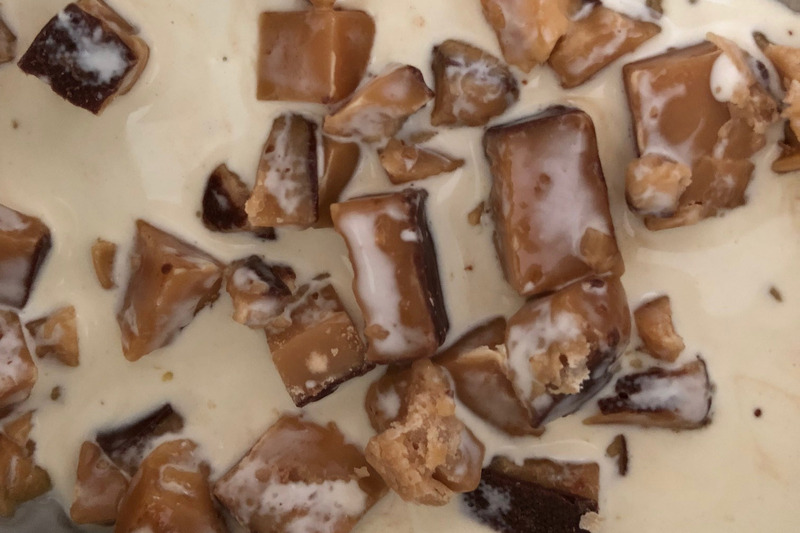 I did a little experimenting with this one and I soon discovered that Johnsons fudge makes the best fudge sauce ever! I baked simple vanilla cupcakes and filled them with the fudge sauce, topped with vanilla buttercream and of course a lovely chunk of coffee fudge, delicious. 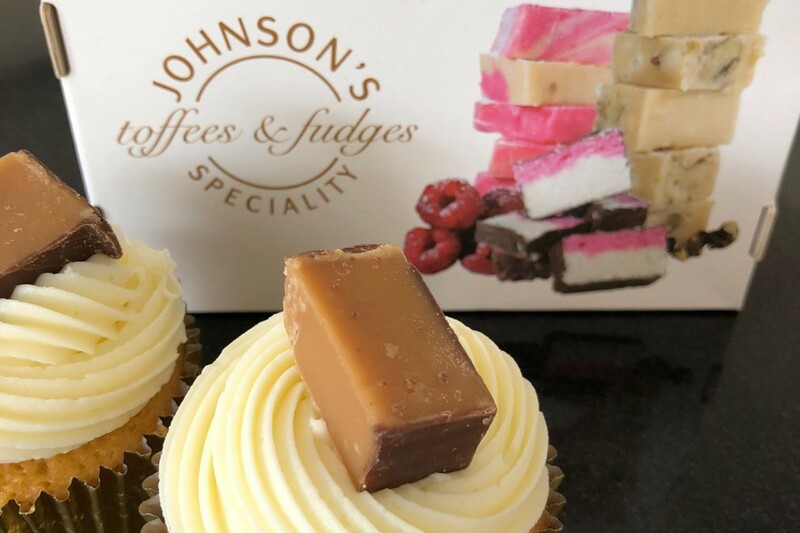 Treat yourself, buy some Johnson's Fudge and get cupcake making, enjoy! 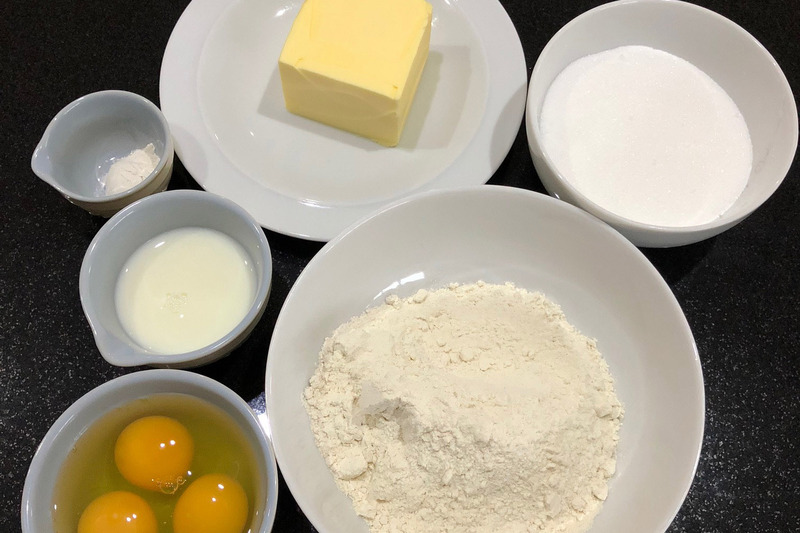 •	Make the cupcakes; cream the butter and sugar together until well incorporated. •	Add all the other cupcake ingredients and mix well to a smooth batter. 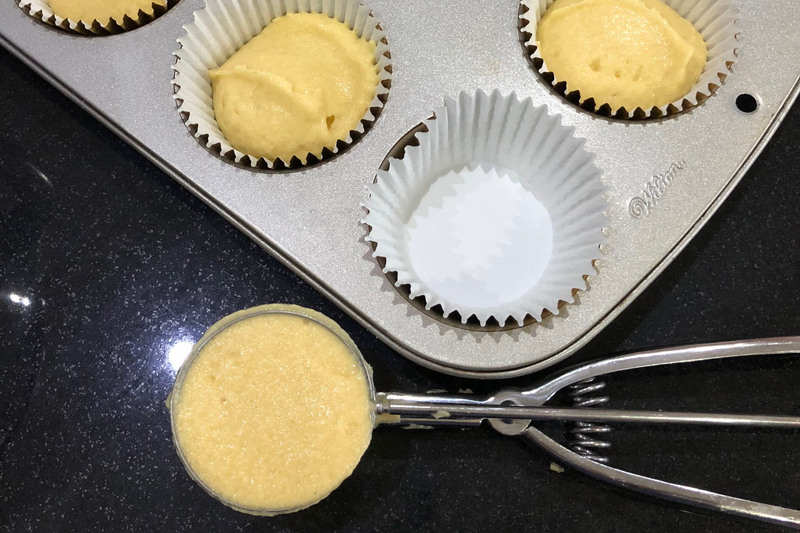 •	Place 12 paper cases into a 12 hole muffin pan and fill with the batter (I use an ice cream scoop to do this but a spoon will do the job). •	Bake at 160 degrees C for around 24 minutes (depends on your oven) until light golden brown. •	While the cupcakes are baking make the filling. 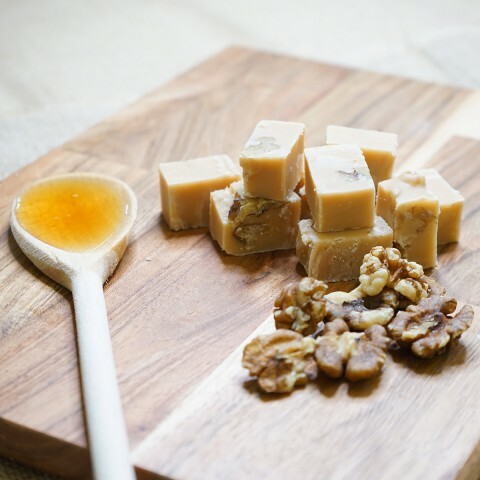 Place the sliced fudge and cream in a pan and heat gently stirring until the fudge melts and it forms a smooth sauce. 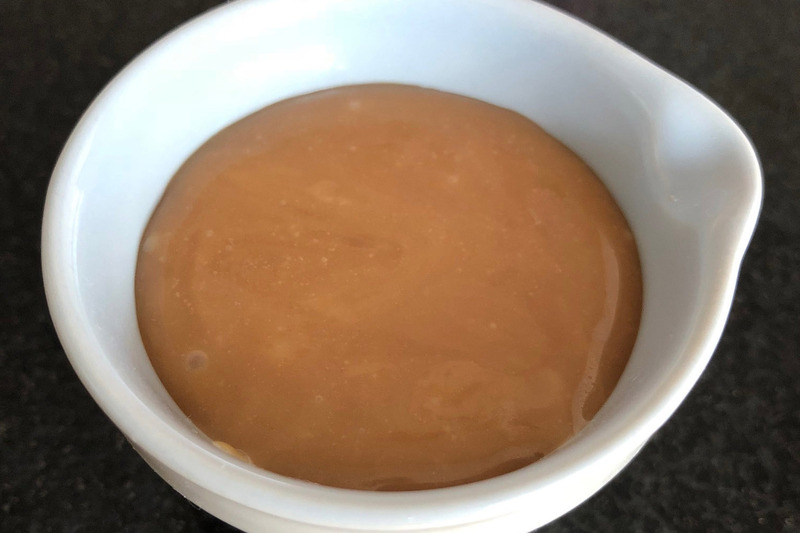 •	Pour the sauce into a bowl and cool. 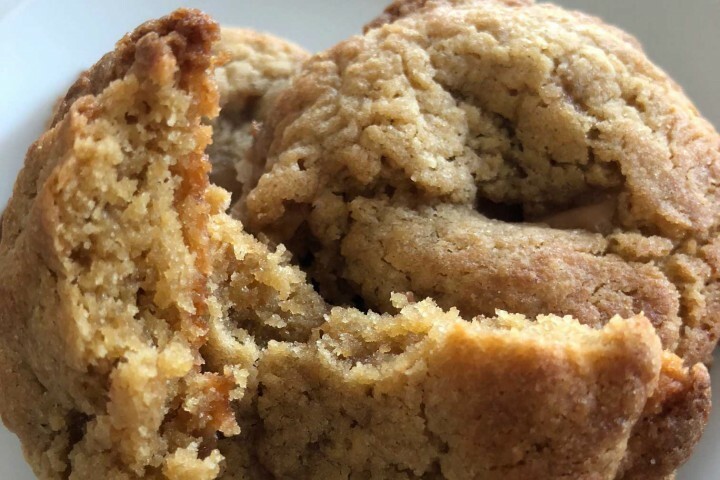 •	Make the buttercream by placing all ingredients in a bowl and mixing until smooth and creamy. Best done with an electric mixer as it is hard work by hand! 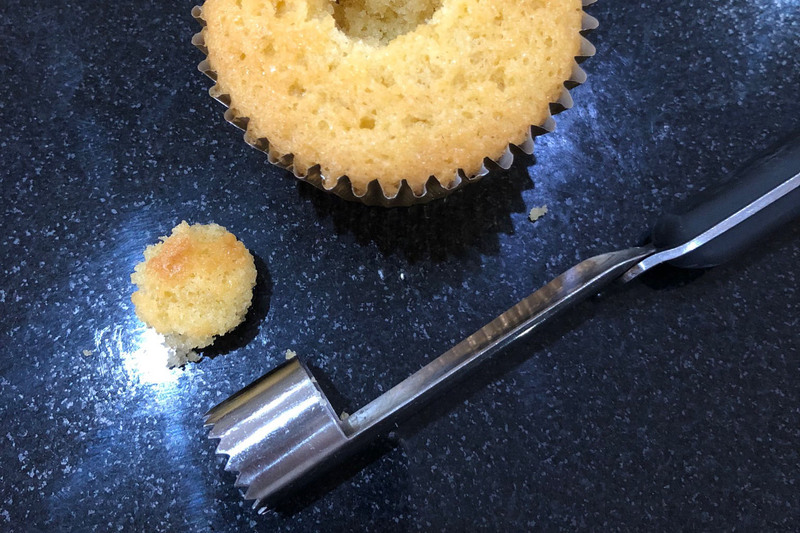 •	When the cupcakes are cooled, use an apple corer to make a hole in the middle of the cupcake. •	Fill each cupcake with sauce then top with a piped swirl of buttercream and a piece of fudge. •	If you don’t have a piping bag and nozel, fill a freezer bag with the buttercream and snip a corner off to pipe the buttercream.